This is Mental Illness Awareness Week 2015 and I want to talk about my physician heroes for mental health. The doctor heroes of my life and work this week are my colleagues at The Royal, the tertiary care psychiatric hospital in Ottawa that serves Eastern Ontario. In this especially difficult time, when doctors are facing cuts to patient care and hospital doctors are coping with cuts to hospital funding as well as their own, the 70 doctors at my hospital are donating $1 million to the Foundation for Mental Health. The decision was made at our Associates’ meeting and received overwhelming support. The donation will support care, education and research at the hospital. It is an extension of the clinical care, research and community action that is typical at The Royal. My colleagues care for patients from all walks of life, from youth to seniors with a dedication that is inspiring. We provide care in the hospital, shelters, community settings like Carlingwood Shopping Centre, group homes and prisons. 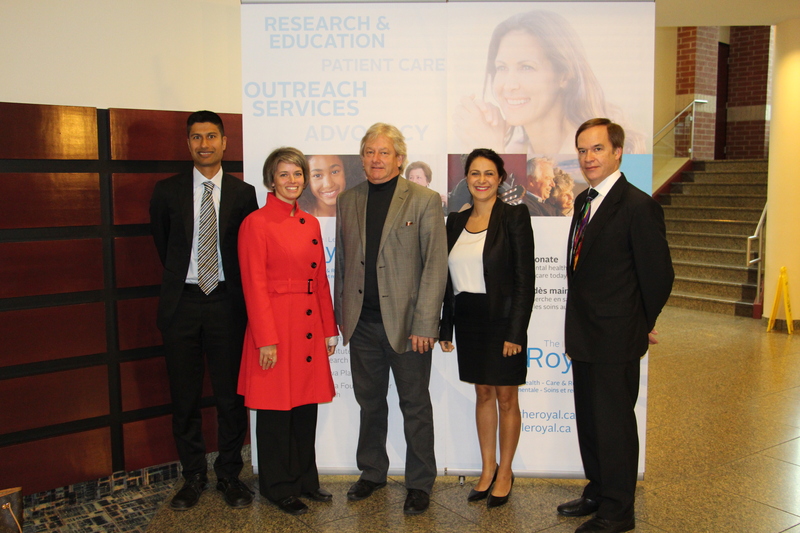 The research undertaken in the Royal’s Institute for Mental Health Research is world-renowned. Our programing is innovative – we’ve even created an App to help young people cope with stress. My own small contribution to this innovation has taken the form of tweet chats. My unusual schedule means that I often arrive early at the hospital or leave late. Regardless of the hour, I am rarely the only doctor in the building. I am proud to be a part of this group of physicians but I am also humbled by the talent and generosity around me. People with mental illness have suffered both because of their illnesses and because of the stigma that has plagued these conditions. The doctors who treat these illnesses have also been stigmatized at times. Do you not know at least one psychiatrist joke? My colleagues know that stigma is not defeated with therapies and medication. Putting your money where your mouth is shows your stake in a cause and 100% of the doctors at my hospital will participate in this donation. I am told that this is unprecedented – no other hospital foundation in Ontario has 100% of its hospital’s physicians contributing. If you are looking for doctors #OnCall4ON, here are 70 you can mention. If you are looking for champions during Mental Illness Awareness Week, look no further.